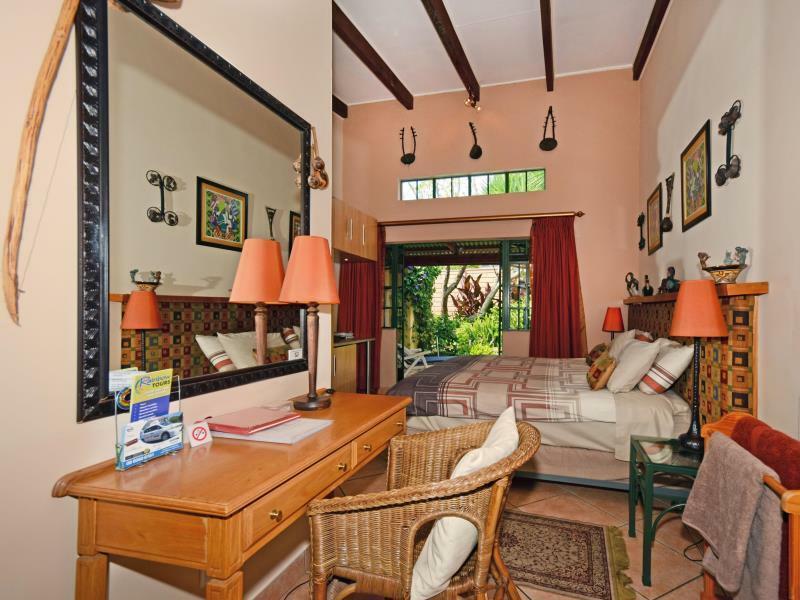 ﻿ Cherry Tree Cottage B&B Linden Johannesburg. JIMAT di Agoda.com! Ada soalan mengenai Cherry Tree Cottage B&B Linden? Ketika melawat Johannesburg, anda akan merasa seperti di rumah di Cherry Tree Cottage Bed and Breakfast, yang menawarkan penginapan berkualiti dan perkhidmatan hebat. Terletak 7.0 Km dari keseronokan bandar, hotel 3-bintang ini terletak di lokasi yang sangat baik dan menyediakan akses kepada tarikan terbesar di bandar. Bagi anda yang ingin pergi agak jauh, Taman Botani Johannesburg, Johannesburg Botanical Gardens and Emmarentia Dam, Puri Thai Massage merupakan beberapa daya tarikan untuk pelawat. Di Cherry Tree Cottage Bed and Breakfast, segala usaha dilakukan untuk membuatkan tetamu berasa selesa. Oleh yang demikian, hotel ini menyediakan perkhidmatan dan kemudahan yang terbaik. Kemudahan utama hotel termasuklah Wi-Fi percuma semua bilik, pengawal keselamatan 24 jam, stesen caj kuasa kereta, pengemasan harian, khidmat pos. Hotel ini mempunyai 5 bilik yang sangat cantik, setiap bilik dilengkapi internet wayarles (percuma), bilik larangan merokok, pemanas, panggilan kejut, meja. Kemudahan rekreasi hotel, yang termasuk seperti denai kembara, padang golf mini, pusat kecergasan, padang golf (dalam jarak 3 km) , kolam renang terbuka direka untuk anda melarikan diri dari masalah dan bersantai. 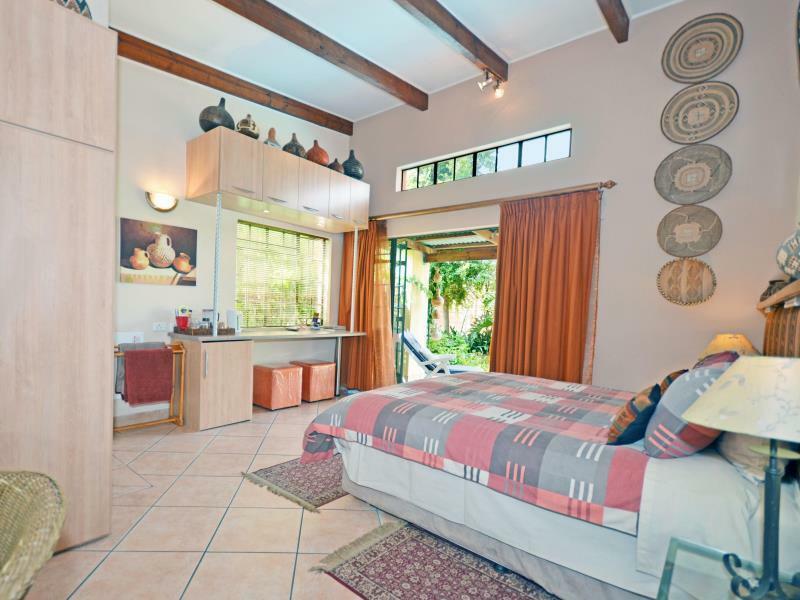 Cherry Tree Cottage Bed and Breakfast adalah destinasi sehenti anda bagi penginapan hotel berkualiti di Johannesburg. Lovely people, very interesting African artwork. Will go again when in Johannesburg. I stayed for a couple of weeks after surgery. Marelyn made sure I was comfortable in an unobstrusive way but was available on the few occasions when I had requests. The room was warm during winter and the garden was sunny and full of flowers. I stayed for 3 nights at the Cherry Tree Cottage B&B. The experience of staying there was perhaps the most pleasent I had at any residential location across several countries. A wonderful couple manages the place, who provided a really warm and friendly hospitality. 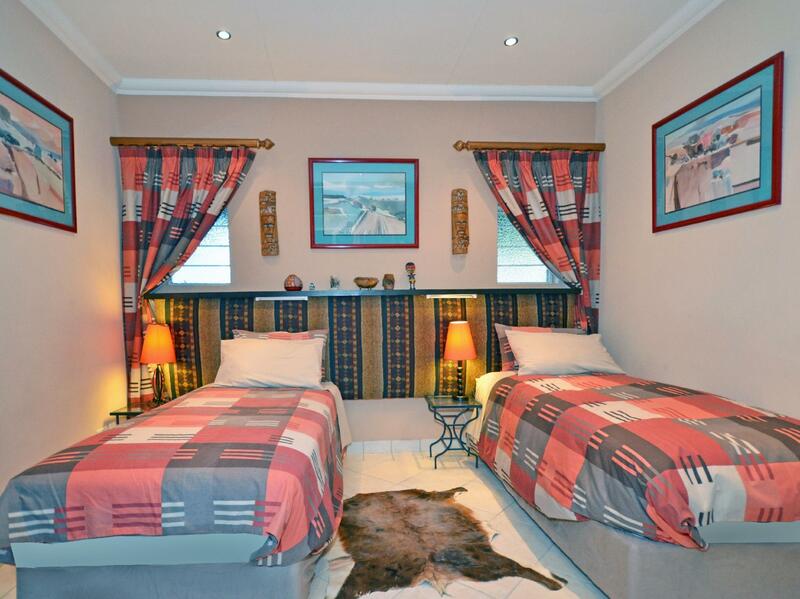 The rooms are decorated with tasteful African art and sculptures, the place is almost like a mini museum. Each room has its own backyard, with a nice green refreshing view. The breakfast has huge variety of cereals, breads, fruits, and a lot more, perhaps as good as any 5 star hotel. The manager himself prepared my choice of omelette or fried egg, while we had long and enriched discussions on a range of topics, including out shared passion for cricket. The lady helped to arrange my flight for cape town. I felt a lot of personal affection all along. A large range of television channels via satellite were avaliable. 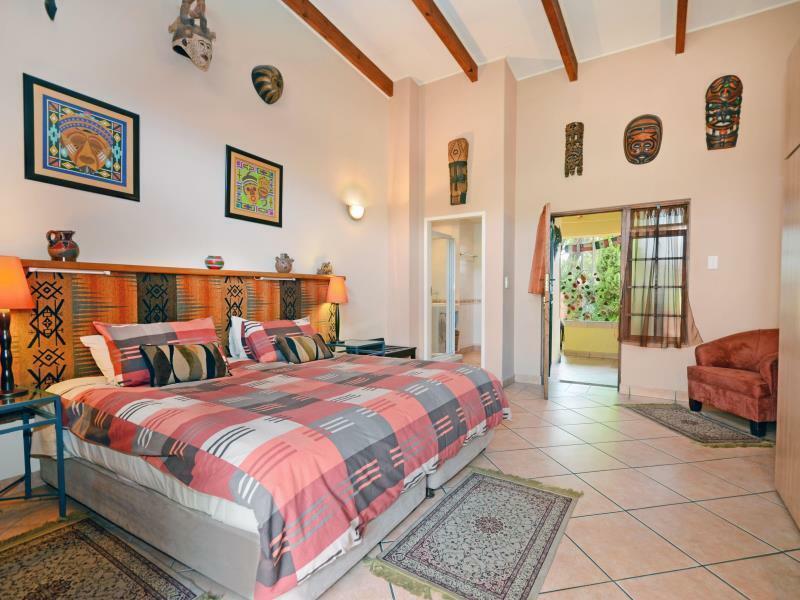 The location is in one of the most beautiful upmarket areas of Johannesburg, and it takes just a few minutes and around 70 ZAR for Uber to get you to Rosebank, so never felt being out of mainstream tourist areas, while enjoying serenity of the area. Overall, it's been a splendid experience, a refreshing place to stay for any kind of traveller or family. It's a 4.5 star experience at a value cost. Highly Recommended !! Ideally suited location for my needs. Good safe neighbourhood. Beautiful gardens even in drought conditions. Very peaceful stay. Although the breakfast was good, a bit of daily variety would be great. Thanks for a wonderful stay. Guess to sum it up, would return without any hesitation and not even look for anywhere else. Ambience - rooms were tastefully decorated, even to the extend of garden and balcony. Cleanliness - well maintained. Hospitality -Owners very helpful and providing guests with comfortable stay. .
Enjoyable, would not hesitate to recommend to friends. Owners - Both Ron and Merelyn is extremely helpful. As a solo traveller, Merelyn has given a lot of suggestions to places of interest and help with the arrangement . Although Cherry Tree Cottage is a bit secluded, there are shops/restaurants within walking distance so its not a problem if one wants to catch a bite. Cherry Tree Cottage is definitely value for money. Friendly Service & Staff, Great Location and Food. Staying at the Cherry Tree Cottage B&B was an amazing experience and everything you hope as a traveler and as a B&B holds all the comforts of home. Located in Linden it is a beautiful residential area surrounded by plenty of green avenues and walking distance from shops. Linden in itself is not far from the center of town which takes a 20 minute drive to reach. Apart from the amazing location, we also enjoyed the friendly service of the delightful owners and staff. If you happen to be interested in Johannesburg and its rich history you will no doubt enjoy speaking to the owners and learn of their rich experiences & knowledge. As a traveler there is no greater comfort than food. The food at the B&B was great and with lots of variety and choice for breakfast. Ranging from different styles of egg to milk and yogurt coupled with a selection of delicious cereals not to motion an array of homemade jams. 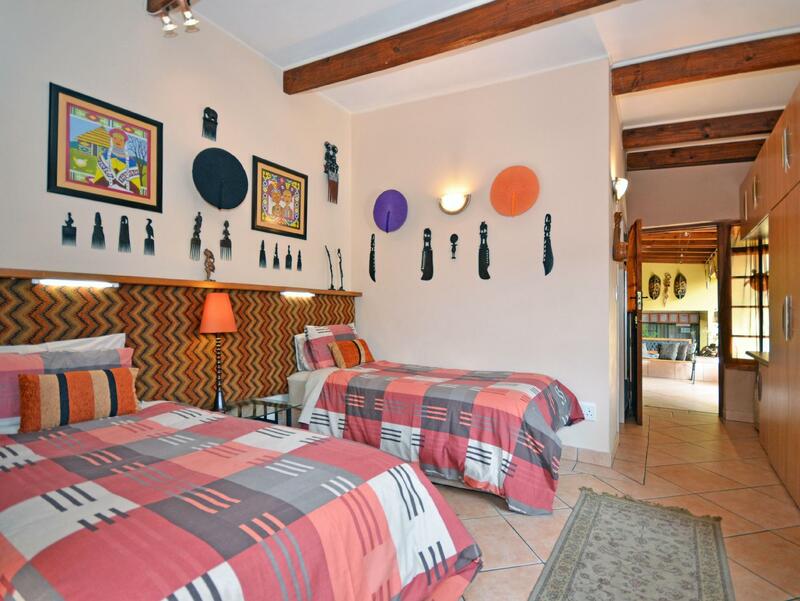 The rooms are tastefully decorated African style with a display of tribal ornaments. The rooms have been thoughtfully provided with food delivery numbers and information and a perfect indulgence after a long day of sightseeing. All in all it was a fantastic stay, highly recommended and I look forward to staying there again while further visiting Johannesburg in future.